The Actual Cost of Batteries. 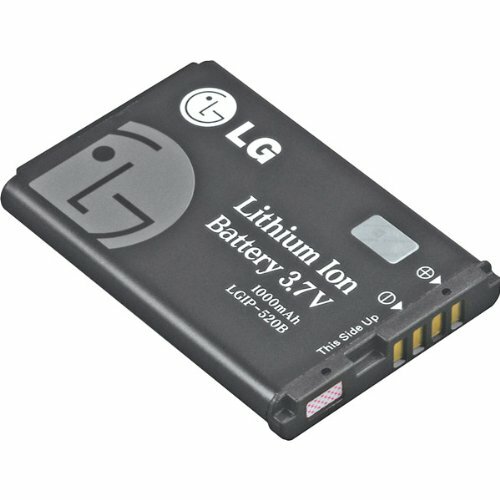 Every day you turn on your phone, the screen instantly lights up because of the lithium-ion battery inside of it, but not all batteries are lithium-ion batteries one of the most popular battery used is AA battery which is used for controlling your TV remote, powering up your new toy, etc. Lithium-ion batteries allow you to text, study, work, drive around, and connect with friends and family members. Many people don’t realize that you having a phone that works is an act made possible thanks to the miners in Congo mining cobalt everyday, so you could relax and listen to Youtube. One of the ingredients to creating lithium-ion batteries for your phone is cobalt. Cobalt is used to power smartphones, laptops, and electric vehicles. Cobalt is also included in the construction of jet engines, paint, and magnets. Cobalt is a silvery-grayish metal that is found in rocks. 60% of all the world’s cobalt can be found in a very poor nation in South Africa, called the Democratic Republic of the Congo, or DRC for short. The nation is so poor it’s people are required to mine cobalt with hand tools to survive. Most of the mines in DRC have been dug by hand, using shovel, hammers, and chisels. People, and even children as young as seven years old, mine the cobalt under harsh and dangerous conditions. For example, the mines are in great risk of collapsing because they don’t have any supports at all.Thirteen people died in a mine collapse in 2015, and the year before 16 miners died from rocks falling from a mountain. Approximately 100,000 people in Congo mines cobalt. They dig hundreds of feet underground with little to no safety precautions in place, such as helmets, gloves, and face masks, so deaths and injuries are common in the mines. The mining activity exposes the community to a great level of toxic metals, and fumes that can cause breathing problems, and even birth defects. The cobalt dust sticks to the miners so when they come home the dust can cause health risk, especially for children. Today, about 110,000 tons of cobalt are mined every year. Roughly half of that number goes to lithium-ions batteries, and demands for the material are increasing dramatically. Casper Rawles studies global cobalt trade and he predicts that the amount of cobalt needed for battery fabrication will likely double by 2025. In addition to accidents and injuries, the workers carry long term health risks, like lung diseases, caused by cobalt dust. Cobalt dust can also affect the growth and development of young children. Miners are not the only ones facing health diseases as a result of cobalt extraction. Scientist researched to see if people around the mines could still get sick, and the answer is “yes”. They are affected by the fumes from the mines. People who live near the mines or the ore processing areas are exposed to those elements through the food they eat like fruits and vegetables. These crops take up pollutants or fumes of the dust from the mines or they also take up the fumes when trucks transporting the ore settles on the soil. Dust also makes its way into yards, homes, and children who play there and get it into their mouths. Congo contains such an astonishing wealth of cobalt and other minerals that geologists once described Congo as “ geologique scandal.” Geologic scandal means that the land is very odd because it has so much, almost too many, minerals. People were shocked about it when they discovered the land. Cobalt is not and will never be found as a free metal, which means that it is always found with another ore. The problem about this is that cobalt is almost always found with uranium, and often with arsenic which means all of those people are affected by a lot of toxic metal in plain reach. The toxic metals affect the kidney. Uranium can cause cancer like arsenic. Cobalt also has some properties similar to iron or nickel. For example, it can be magnetic when subjected to a magnet. Small amounts of cobalt are naturally found in most rocks, plants, animals, and cobalt can also be found in meteorites. Child labor is also common. The United Nations Children’s Fund, or UNICEF for short, estimated that in 2012 that about 40,000 children worked in in the cobalt and copper mines, but many children also work at the surface of the mines by sorting through and washing up the ore brought up from the mines. Miners collect as much cobalt ore and other minerals as they can, and when they have as much as they can carry they transport their ore by bicycle or bus to nearby shops. On a good day, they can make up to $3 for their haul, and on a bad one they can have to go home and try again the next day. You can do something to help those people mining. First try not to buy a new battery for your phone if its still works. Second, you could make a donation to the Save The Children. This charity helps the children in Congo get back to school they also give them healthcare, and nutrition support. So if you have some money give it to give. Even a dollar can save a life. Some people die when they go in those mine, and a lot more get injured to make the lithium-ion battery inside your phone, so your phone can charge as much as you want. People endanger their families for you to be able to talk to your friends via messages. It is important for people to understand that our phone and computers comes at a very high cost. So next time you turn your phone on, feel grateful for those who gave their life, and health away so you could say hello to your grandma.